When we use our eyes to drive, read a book or even gaze at a loved one, the macula is critically important. 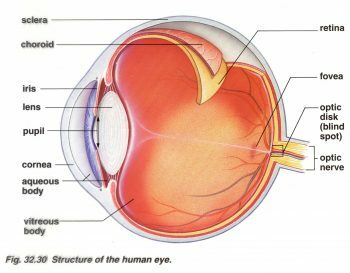 Together, these parts of your eyes are where visual acuity and sharpness, the true nature of clear sight, come together. And fortunately for us, nutritional science holds the key to supporting them. With your eyes, it makes very little sinse to play favorites. Don’t nourish you retinas with just Lutein alone, when your lenses need Vitamin C & Vitamin A. Don’t simply take antioxidants to combat free radicals, when you need Ginkgo & Billberry to help support circulation to your eyes, so protection arrives when and where it’s needed. Every part of your eye needs nourishment, and that is why we made it our mission to include powerful nutrients that target each one, all in Eye Health. Some formulas stop there but Eye Health goes further, with Vitamin E, which studies show helps maintain lens clarity. With N-Acetyl Cysteine, which boosts your body’s ability to produce glutathione, the principal protective compound found naturally in the eye. With Quercetin, which supports lense transparency and clarity. For additional protection, we’ve added Quercetin, Eyebright, Selenium & Zinc, which together add another solid layer of protection and support.